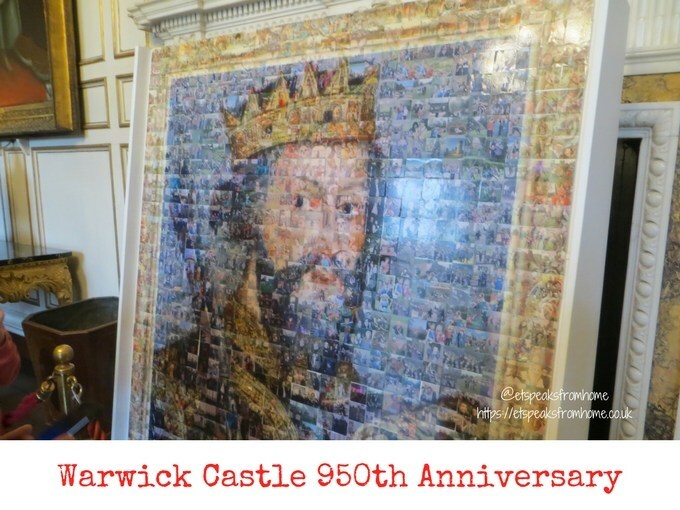 This Easter, Warwick Castle is celebrating their 950th anniversary and they had asked their visitors to send in their pictures of visits to the castle. Using all these images, they turned it into a mosaic of the castle’s founder, William the Conqueror. This special artwork installation is currently on display in their State Dining Room over the Easter holidays along with a host of other celebrations. This is a very beautiful mosaic indeed and there are so many photos that we didn’t manage to spot ours!